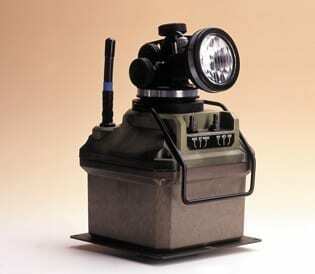 A generator powered portable approach light that enables pilots to identify the runway centreline during approach. The UAL is suitable for visual flight operations both day and night. The generator-powered lights produce 3 levels of light intensity up to a maximum of 5000cds. For increased stability the portable approach lights can be mounted on individual base plates that are anchored to the ground. Once positioned the desired approach angle can be easily and accurately set between 2° and 8° using the UAL’s inbuilt scale and spirit level. 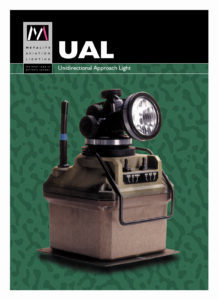 The UAL is an integral component of the MOSKIT portable airfield lighting system and is used together with PAPIs and ORELs contained within the MOSKIT trailer to create a 1500m minimum operating strip.